Ministry of Science, Technology, Innovation and Communications (MCTIC), National Bank of Economic and Social Development (BNDES) and McKinsey reveal in the event the guidelines for the Internet of Things in Brazil. 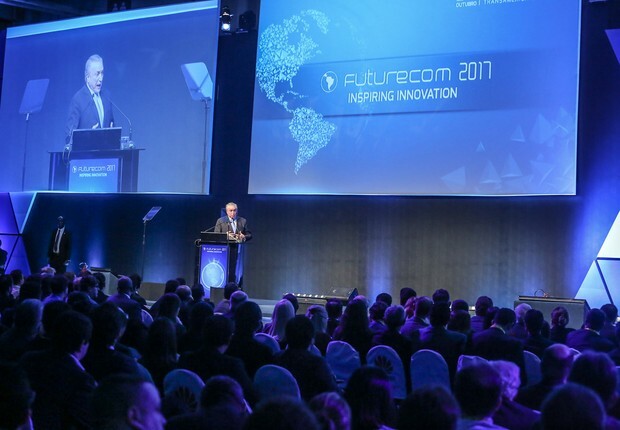 Futurecom 2017, the most important ICT event in Latin America, was the chosen environment for the launch of the National Internet of Things Plan, announced by the federal government since the end of last year. The solemn opening ceremony was attended by the MCTIC Minister, Gilberto Kassab; of the Secretary of Telecommunications of MCTIC, André Borges; and MCTIC’s Secretary of Informatics Policy (Sepin), Maximiliano Martinhão, who officially launched the IoT National Plan – “Internet of Things: an Action Plan for Brazil”, detailing the policies, action plan and the deployment strategies of the technologies that will connect devices and equipment. For the implementation of the National IoT Plan, the institutions involved – BNDS, a partner at work – carried out preliminary studies that identified four priority verticals to receive the first services focused on the population’s quality of life and sustainable development through technology . They are Cities, Health, Agribusiness and Industry. The plan foresees that these policies will be applied already between 2018 and 2022. What is the Internet of Things in practice? According to scientist Kevin Ashton – it was he who first used it in 1999 – “Internet of Things is a technological concept in which all objects of everyday life would be connected to the internet, acting intelligently and sensitively.” For example, an automobile informing the resident’s ventilation system of the residence, the smartphone serving as an interface between the people and the residence’s electrical system to schedule the time to turn on the lights or turn on the air conditioning, or even to do facial recognition to trigger the opening of a garage door or the entry lock. The National Internet of Things Plan will provide more intelligence in the provision of public and private services, people skills, innovation, entrepreneurship, and put Brazil as a technology developer in the global market. In health, communication between equipment can improve medical care, surgeries and save lives, both in remote locations and in large urban centers. On the other hand, the industry is experiencing the moment of another revolution with the perfection of the technologies of mechanization and perfection of productive processes. And agribusiness predicts major advances in the scale and quality of world food production to accompany the population increase.